Living with a roommate is tough. Regardless of if you are living in a spacious apartment or a shoebox of a dorm room, it’s an adjustment either way. However, it is even more of an adjustment if your roommate is messy. If you are someone like me who likes everything to be organized and orderly, if your roommate is the complete opposite it can make your life a living h-e-double-hockey sticks. So, what can we do about it because, I hate to be the bearer of bad news, but you will have to deal with the issue in some way, shape, or form in your life. Well, have no fear because I have suggestions on how to deal with this! If this at all interests you or if this seems like a problem you will have to deal with in life, read on! Even though it’s terrifying to deal with a problem head-on, it’s a necessary first step. If your roommate’s mess is getting out of control and it is causing you to lose sleep at night, you need to talk to him/her. You don’t need to start World War III; sometimes all it takes is a, “Hey, can I talk to you about something?” If your roommate is halfway decent, he/she will say, “Yeah, sure, of course,” or they will ask if you can wait until later today because he/she has a huge exam to study for, in which case you should oblige. Once you do have the conversation, all you have to say is that the mess is driving you a little crazy (try to throw some humor in there to make it more light-hearted) and ask if he/she can be better about cleaning up after themselves, I guarantee they will say no problem and you both can move on. However, this is the real world and, unfortunately, the problem will not be solved in a day. This situation might have to be dealt with using multiple conversations, but if casual conversations aren’t working out, you need to sit down with your roommate and come up with a plan. You want to make sure you tell your roommate that you understand that many people don’t love to scrub the counters and organize your closet as much as you do, but that you are desperate to meet each other halfway. You can explain that you realize that it’s their stuff, their room, etc., but that you share that space and you need them to be more considerate. You can say that you will also be more conscientious and understand that you need to also be flexible. Once you get the conversation out of the way, create a plan. For example, if your roommate doesn’t want to fold their laundry, instead of he/she leaving it spread out on their bed or the floor, have them pile it into the laundry basket instead. Give this plan a couple of weeks because it takes time to develop new habits and to stick to them. If your roommate still doesn’t seem to be getting the hint, you tell him/her that you are tired of having to clean up after him/her and that you really need them to meet you halfway so that you aren’t driven completely crazy. Sometimes a little confrontation is good in order to get your point across. I’m not saying that you should have a screaming match, but you definitely should be sterner in your voice and in your actions. For example, if your roommate leaves his/her dirty dishes everywhere because they are used to having you pick up after them, leave the dishes. You could even leave your own dishes out because sometimes, in order to gain some appreciation, you need to have an eye-for-an-eye, or in this case, a dish-for-a-dish. 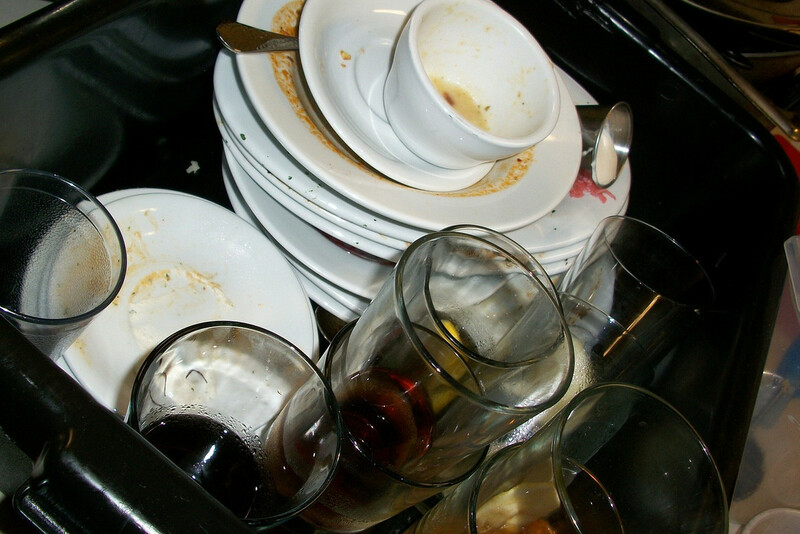 If the dishes end up getting cleaned, then I think you have gotten your point across for good. However, if the dishes are not cleaned, the frustration should bubble up organically and then you and your roommate can have an actual conversation. I promise you that you will come up with a solution, but if you don’t then you don’t have to live with that roommate forever. If a solution doesn’t come to fruition, then you may have to keep picking up after your roommate or pushing his/her clothes to the other side of the room so that you don’t go completely insane. People don’t always agree on how neat to keep their living arrangements, but don’t let it ruin your life and don’t let it change how you live your life and how you clean your room. Just remember that if a conversation doesn’t work, you shouldn’t have to push it further than that because your roommate should respect your words and if he/she doesn’t, then that’s on them, not on you. If you have this problem, just remember that living situations aren’t permanent!